As sisters sometimes do, my sister and I fantasized about her future wedding one day. All the things she did and didn’t want to do. My sister is a diehard San Francisco Giants fan so it didn’t surprise me when she said her theme would be based on her favorite team. 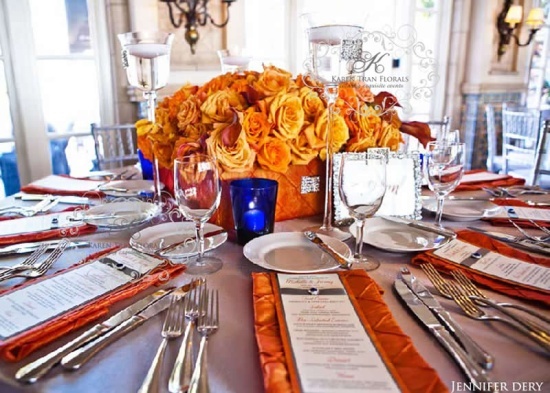 We began tossing around ideas on how to incorporate black and orange into her wedding without going too over the top with her baseball theme. I would guess most brides would die if their fiancé requested a sports theme wedding. Are you one of those brides? Or would you embrace the sports theme and run with it? Nails – I thought I would start with the basics. Something my sister has 365 days a year anyway, why would her wedding day be any different? I always love seeing what her nail artists comes up with. 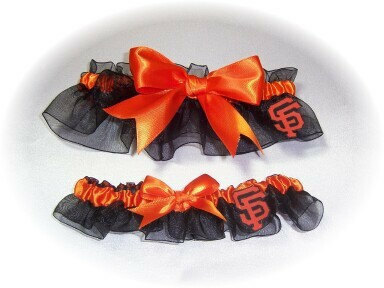 Garter – This SF Giants garter by Garters By Kristi is perfect! 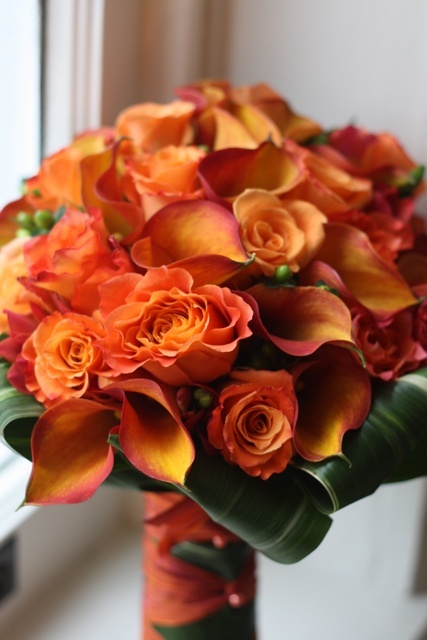 There are so many ways incorporate orange, black and a little SF Giants pride into your wedding. The question is would you do it? Brides and grooms are busy! Careers, families, and schedules! How can a couple plan a wedding that’s fun and relaxing? 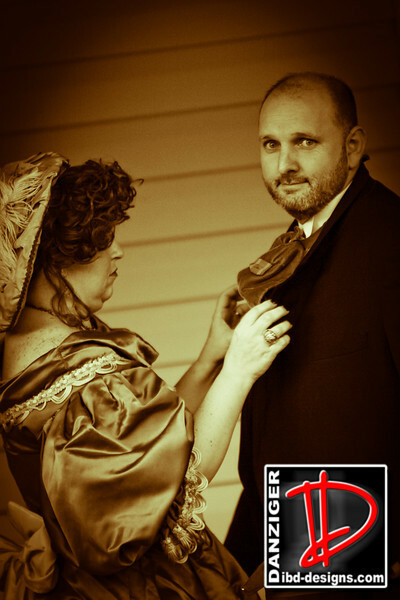 Try a vintage wedding in classic grey with Victorian flair! 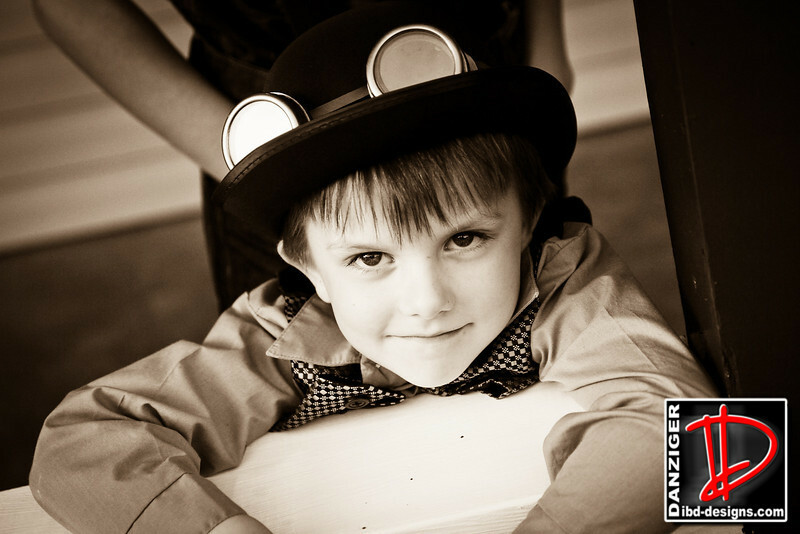 A steampunk theme is easy to do and fun for guests of all ages. 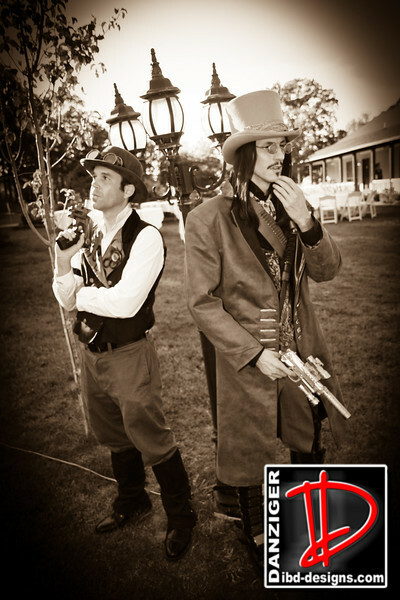 In fact, the pictures of the guests at this steampunk wedding are fantastic. I wish my wedding was captured this well, especially the kids and the grandparents, see more below! The place to start with industrial chic style is with a wonderful set of vintage silver lace stationery! These keepsakes will set the tone and mood for all the special days ahead. Rustic notes highlight Victorian lace, but also are reminiscent of a time gone by. 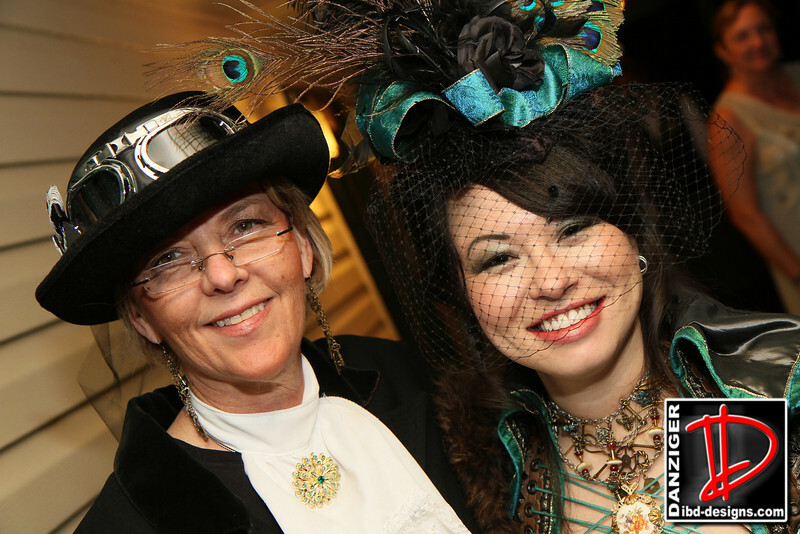 This is how the bride and groom can inspire their guests to dress in steampunk style! Next! A beautiful location! Pick something with options for good and bad weather. 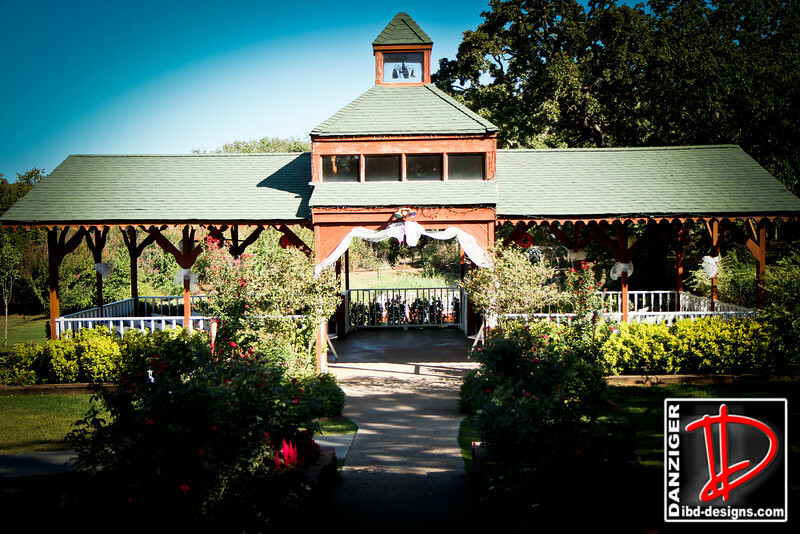 The featured couple chose a Victorian era home serving as a fine restaurant with a large gorgeous wooden gazebo. Top priority for a fun wedding is a great location! A train museum or a historic train station is ideal. However, most outdoor locations put visitors at ease. This boat dock sits aside a small pond in a country setting. 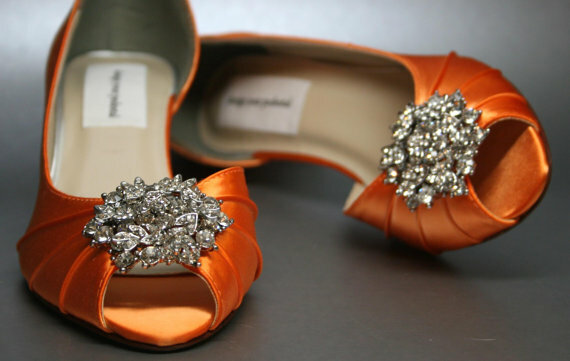 Gifts and inspired trinkets for the bridesmaids and groomsmen will help them with costs. Starting with the beaus, they can all wear comfortable shoes or boots – they’ll LOVE this! 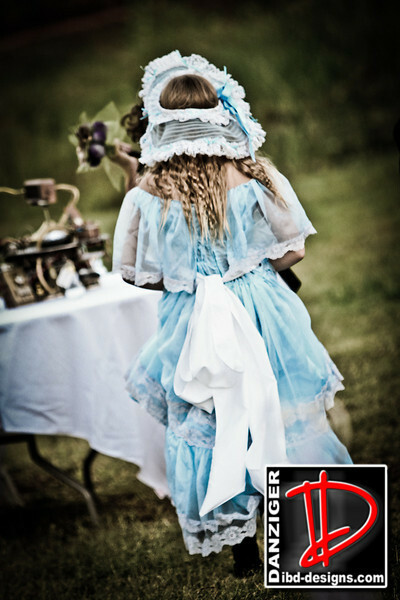 In their ‘dress’ clothes they can select a vest and a family heirloom pocket watch. A vintage hat or goggles are also nice. Regular flowers won’t last long outdoors, so I recommend metal creations instead! For the bride and her entourage, we’ve found beautiful hair extensions in to recreate turn-of-the-century braids. 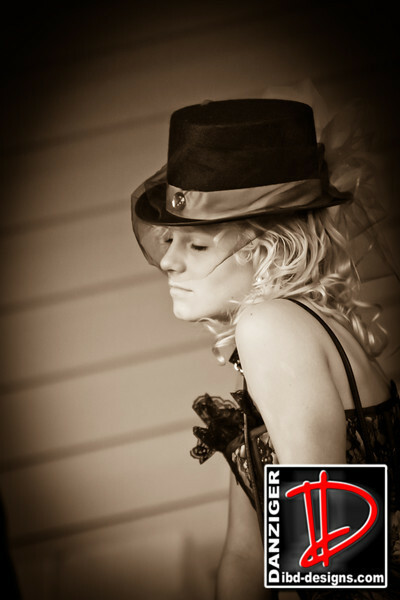 The glamour from past makes all the sci-fi or western touches to the steampunk fashion more feminine. Fascinators crown your ladies perfectly! I know opt hats are all the rage, but they are very hot for summer weddings. So, choose a mini- top hat or a feather fascinator for your bridesmaids, they’ll thank you for it! 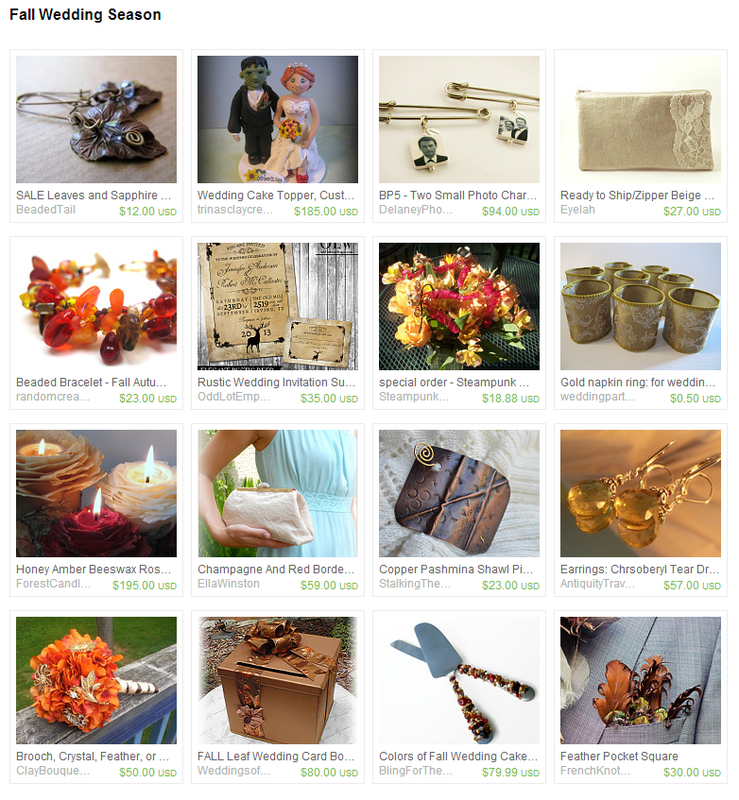 Gifts for the bridesmaids and of course, the maid of honor can also follow a this vintage Victorian theme. Choose a necklace, like this one-of-a-kind cameo for any special lady. 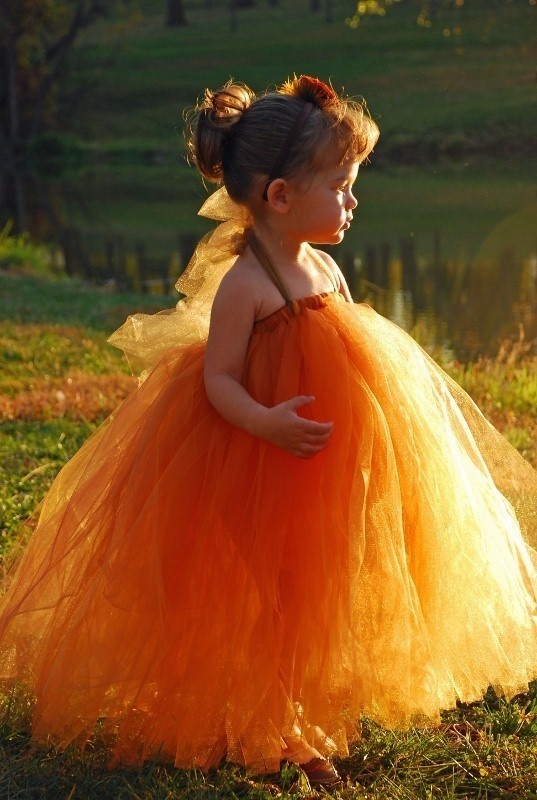 In fact, this one is resin and reasonably priced, so your flower girl could wear it! This grey satin clutch with ivory lace is a gift your bridesmaid and maid of honor can carry for many other occasions. I really like the dark grey lining! This will forgive an ink pen or other spills and still look fabulous! Saving the best for last, we recommend handcrafted rings in hammered silver with conflict-free diamonds in three different colors: champagne, white, and black. This eclectic alternative for traditional wedding bands is easy on the budget, leaving lots for the honeymoon!